Just a reminder to all of you that this weekend is Moros y Cristianos in Mojacar. Feel free to buy me a drink if you spot me lurking near the end of one of the bars! 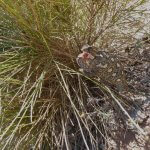 This entry was posted in Blog and tagged fiesta, mojacar by David. Bookmark the permalink.